The fishing is the gulf has been red hot over the last few weeks, & anytime the wind is not blowing that’s the direction I headed. 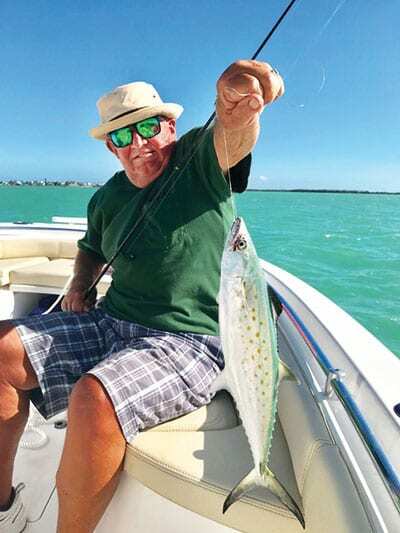 We have had a great bite of Spanish Mackerel along with a few Kingfish, if you’re interested in getting in on this action get down the local bait shop and but 10dozen live shrimp, a few boxes of chum, some light leader wire & I like a 2-3size circle hook. 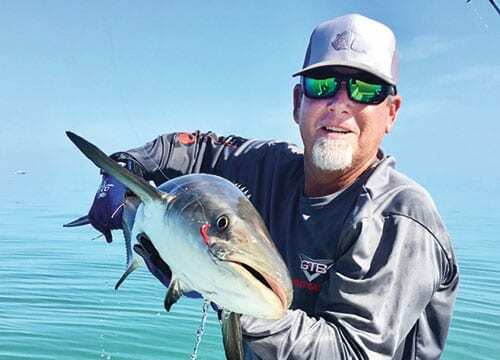 If you run out to the gulf about 5miles past springer bank you will stumble upon other boats doing the same so fish in that area, but please remember not to set your anchor down current in another boats chum slick! When I get to the area I want to fish I drag the chum bag for a few minutes to get the sent out then anchor up and add a second box of chum to keep it fresh, before long you should have bent rods and smiling faces if not you better move. 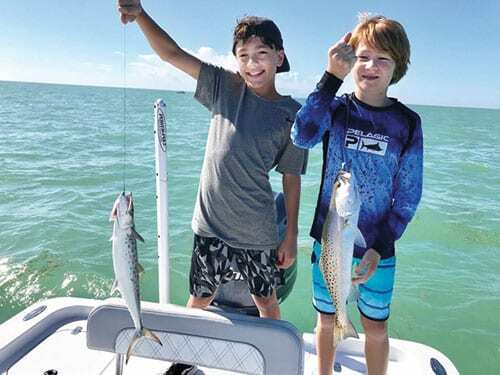 While fishing for the Macks there are plenty of other species to keep the action going, we always catch our fair share of keeper mangrove snapper, plenty of jacks and blue runners along with bluefish and sharks. 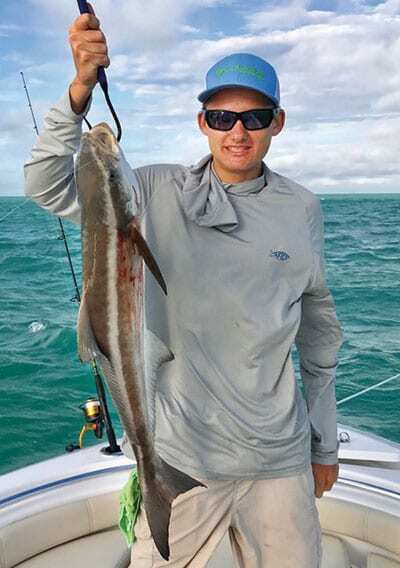 We have been having great luck with Cobia swimming up into our chum slick the last few trips so I always keep a medium size rod rigged with a circle hook and 50lb fluorocarbon ready with a pinfish, if you have a rod ready you can change over before that cobia swims off.